Last year, it was pretty tough to lose money in the equities markets. But unfortunately, things are much different this year. If anything, it’s now hard to find any kind of investment that works! Since late January, the Dow Jones Industrial Average has gone from 26,616 to 24,207. And during this time, there has been tremendous volatility, as there are ongoing fears about interest rates, economic growth and geopolitics. However, this does mean there are more value opportunities available. What’s more, these are not just with small- and mid-size companies. There are actually quite a few blue chips that are trading at low valuations — and sporting lucrative dividend yields. 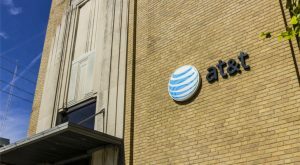 AT&T Inc. (NYSE:T) has been paying a big price for its acquisition of DirecTV. If anything, the purchase was made at the high-mark for the pay-TV industry. But of course, there has since been a major trend towards cord cutting, led by companies like Netflix, Inc. (NASDAQ:NFLX). But T is trying to turn things around. To this end, the company has launched its own streaming video service, called DirecTV Now. The subscriber base is currently at about 1.5 million. Yet this is just the start. The streaming strategy will get a boost from the proposed $85 billion acquisition of Time Warner Inc (NYSE:TWX). With this transaction, AT&T will get marquee assets like HBO, TBS, TNT and Cartoon Network. There is also the movie studio. So what about the Department of Justice’s lawsuit? Well, it is tough to predict such things. But for the most part, it seems like T has a strong hand. Finally, the valuation on the company’s stock already is discounting much of the bad news anyway. Consider that the forward price-to-earnings ratio is a mere 9X. In fact, because of the low valuation, the dividend yield is now at a juicy 6%. Among the notable beaten-down stocks of 2018 are the large consumer staples companies. Just some of the headwinds include cost inflation, changing consumer buying trends (such as toward healthier offerings) and competitive pressures. But this means there is an opportunity for investors to pick-up blue chips at discounted valuations. And one that stands out is Procter & Gamble Co (NYSE:PG). Granted, the company certainly has its issues. PG has been somewhat slow to adjust to market changes, in terms of product innovation. The Gillette business has also come under pressure because of nimble players like the Dollar Shave Club, which was recently purchased by rival Unilever NV (ADR) (NYSE:NV). Despite all this, PG has been taking action. The company is getting better with its pricing and is also looking at acquisitions. For example, there was a recent $4.2 billion deal for the consumer health care unit of German-based Merck. This business generally sports higher margins. Another factor that should help PG is the influence of activist investor Nelson Peltz. He has a standout track record with consumer products companies, in terms of cost cutting and product strategy. In the meantime, PG stock provides a good dividend yield, at nearly 4%. 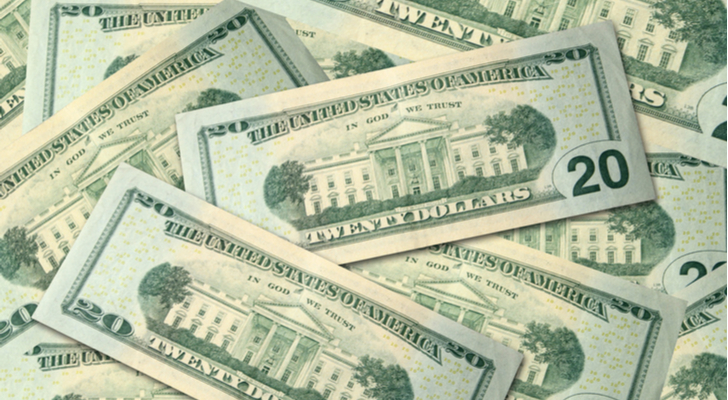 Keep in mind that the company has increased the payout for 62 consecutive years. 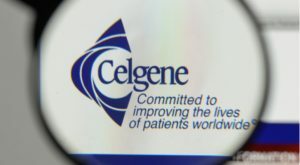 Celgene Corporation (NASDAQ:CELG) has hit a bad patch lately. Back in October, the company had to ditch its development of a drug that treated Crohn’s disease, which was in a Phase 3 trial. Then in February CELG had its paperwork rejected by the Food and Drug Administration for its treatment for multiple sclerosis. The result is that the company’s shares have taken a big hit. Since October, CELG stock has plunged from $146 to $85, wiping out billions in market cap. So then, why now might be a good time to consider the stock? For those with a long-term perspective, the company does have the potential to get back on the growth path again. The pipeline includes promising drugs like Luspatercept (targeted at the hematology market), GED-0301 (for inflammation) and Marizomib (a brain tumor treatment). Something else: CELG has been aggressive with its acquisitions. One deal was for Juno, which is a leader in CAR-T therapies for blood cancers. The drug could prove effective against leukemia, myeloma and breast/lung cancers. CELG also purchased Impact Biomedicines, which has a drug in development for a rare blood cancer, known as myelofibrosis. In the biotech world, it only takes one or two drugs to move the needle in a big way. Besides, in the case of CELG, the valuation is attractive, with the forward price-to-earnings multiple of 8.5X. Altria Group Inc (NYSE:MO) must deal with some tough challenges. After all, there are concerted campaigns in the U.S. against smoking as well as ongoing regulatory scrutiny. But MO stock also got another jolt — that is, from Philip Morris International Inc. (NYSE:PM). The company recently reported a slackening of growth in Japan from its IQOS tobacco devices. The result is that PM stock got crushed — and the selling spread to MO stock. Yet I think all this has been an overreaction. The fact is that MO remains highly profitable, with $1.9 billion in net earnings during the latest quarter. While U.S. cigarette shipments fell by 4.2%, the company was still able to make up the shortfall with price increases. The Marlboro brand remains dominant, with over 40% of the U.S. market. It also helps that Altria has relatively light capital costs. But MO is not just about smoking. The company also holds at 10% equity stake in Anheuser Busch Inbev NV (ADR)(NYSE:BUD), which is a nice source of cash flows. So all in all, MO stock does look to be a solid value play. Note that the forward price-to-earnings ratio at only 13X and the dividend is at a juicy 5%. 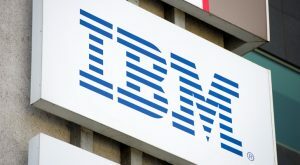 More importantly, IBM’s management has been retooling its offerings, with a focus on growth areas like cloud computing, AI (Artificial Intelligence), security and blockchain. Although, because of the huge scale of the company, it has been a long process to make the changes. But there has still been considerable progress. For the latest quarter, the strategic imperatives part of the business came to 47% of overall revenues. In other words, it seems reasonable that the company is reaching a cross-over point that will lead to higher growth and margins. The valuation on IBM stock is also at reasonable levels, with the forward price-to-earnings ratio at 10X. And the dividend is one of the highest among tech companies at 4.4%. Article printed from InvestorPlace Media, https://investorplace.com/2018/05/5-beaten-down-stocks-scoop-up-now/.